Assouline & Berlowe is a business litigation and transactional law firm serving the business needs of local, national, and international clients. Now in its second decade, our attorneys have worked on a broad range of business matters for wide ranging clients. The Firm consists of a dedicated team of recognized professionals with years of business and technology law experience. We remain true to our initial mission: exceed client expectations and provide client-specific legal services. The Firm's main Practice Areas are: Business Litigation and Dispute Resolution Creditors Rights and Bankruptcy Corporate and FinanceIntellectual Property International Law and Arbitration Labor and Employment Real Estate Our partner-level attorneys have represented: U.S. and Foreign Private And Public Companies U.S. and Foreign Financial Institutions Developers and Builders Pharmaceutical and Health Care Firms Textile ManufacturersForeign Governments and Sovereign Entities Global Oil and Chemical Producers Engineering, Procurement and Construction Firms Software Developers and Publishers Credit Card Processing Companies And, among others, their clients have included: ABB, American Airlines, Applied Card Systems, Arabian Oil Company (AOC), Citicorp Services, C.R. Bard, Fluor, Governments of Chile and Colombia, Hospital Corporation of America (HCA), LG, Lloyd's of London, Mitsubishi, Petrleos de Venezuela S.A. (PDVSA), Prolexic Technologies, Saipem, SpA, Saudi Arabian Oil Company (Aramco), Saudi Basic Industries Corporation (SABIC), Siemens, United Healthcare, University of Florida, and World Alliance Financial. Assouline & Berlowe's attorneys, who have worked at many of the nations most prestigious law firms, have handled a full-range of domestic and international business and financial transactions. They have advised and structured Business Organizations including off-shore operating and marketing subsidiaries; have been counsel on high-value, cross-border corporate Mergers and Acquisition and syndicated Corporate and Project Financings; and have represented clients acquiring and developing or leasing of all types of Commercial and Residential Property. The Firm's Intellectual Property attorneys in have assisted domestic and international clients in a variety of industries with New Technology Evaluations and Portfolio Counseling and Management. They have registered innumerable intellectual property rights; engaged in in-bound and out-bound International Patent Prosecution; and been advocates in Patent Interference Proceedings and other Intellectual Property Litigation. Our Dispute Resolution Team includes attorneys who understand common and civil law systems, as well as European Union Law, and who are skilled in US and foreign law. Litigators have extensive trial and appellate experience in State and Federal Courts, including the US Bankruptcy Court. They have been advocates in high-dollar International Commercial and Patent Litigation; and they have represented a variety of business clients before domestic and international Arbitration and other tribunals. With global relationships, and when required, they co-counsel to provide zealous and cost-effective advocacy. Assouline & Berlowe is more than just another boutique firm. We remain true to our initial mission provide partner-level representation, and client-specific and cost-effective legal services. We take great pride in the legal work that we do for our clients. Assouline & Berlowe has an extensive business litigation practice. Included are civil trials in state and federal courts, as well as appeals, mediation, and arbitration. The Firm's partners represent private and public companies, individual entrepreneurs, family-owned business, start-ups and growth firms, financial institutions, and others in a variety of Industries . The Firm has represented a broad spectrum of clients on claims ranging from: antitrust, unfair competition, and trade secret claims asset recovery, foreign judgment enforcement, and other International Business actions civil fraud and RICO actions clawback, fraudulent conveyance, and other litigation under the Bankruptcy Code commercial collections and contract dispute claims complex commercial and multi-party disputes contested disputes regarding personal jurisdiction over parties from different states and/or countries Fair Labor Standards Act, American with Disabilities Act and other Labor and Employment Law claims investor and broker-dealer FINRA arbitration patent, trademark or copyright infringement, technology licensing, and other Intellectual Property disputes professional football and baseball player and league agreements Real Estate and construction litigation Eric N. Assouline heads our Business Litigation & Dispute Resolution Practice. Mr. Assouline is a co-founder and partner in the Fort Lauderdale and Miami offices. Members of our Practice also include, Peter E. Berlowe , the firm's co-founder and partner in the Miami office; he also heads our Corporate and Finance Practice Peter A. Koziol is a Registered Patent Attorney and partner in our Boca Raton office. He is also a member of our Intellectual Property Practice and International Law and Arbitration Practice Ellen E. Leibovitch , a Florida Bar Board Certified Labor and Employment Law attorney, is a partner in our Boca Raton office, and she heads our Labor and Employment Practice Carl H. Perdue is Senior Counsel and a partner in the Boca Raton, Fort Lauderdale, and Miami offices. He heads our Europe and Middle East practice. He is a member of our Corporate and Finance Practice and our International Law and Arbitration Practice . 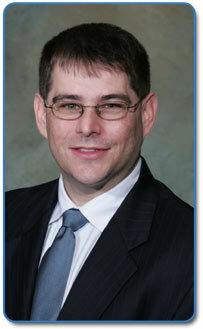 Daniel E. Vielleville is a partner in the Miami office, and he heads our International Law and Arbitration Practice . Greg M. Popowitz is a Registered Patent Attorney, and he is an associate in the Fort Lauderdale office, and a member of the Intellectual Property Practice and our Creditors Rights & Bankruptcy Practice . Although many of our cases are in State courts, a substantial number are tried in the federal courts. Many of our lawyers are licensed in multiple jurisdictions; all are prepared to represent our clients or assist other law firms nationwide pro hac vice. Peter E. Berlowe is co-founder of the firm in the Miami office. He heads the Corporate and Finance Practice and is a member of the Business Litigation & Dispute Resolution Practice. His practice includes domestic and international litigation and arbitration of: complex commercial disputes; intellectual property, trade secret, and trade disputes; construction disputes; FINRA disputes; hotel management disputes; and complex foreclosure matters. Mr. Berlowe's practice also includes business consultation and planning regarding construction, trademarks, copyrights, and intellectual property portfolios. He has represented private and public companies and financial institutions, as well as entertainers, sports personalities, fashion designers, publishers, and manufacturers, major airlines. Mr. Berlowe has litigated construction disputes involving tens of millions of dollars; including representing major financial institutions in construction litigation related to their world and regional headquarters facilities. He has engaged in "bet-the-company" litigation involving substantial antitrust issues; as well as, Department of Justice antitrust clearance procedures of asset purchases out of bankruptcy litigation. Mr. Berlowe has organized and led dozens of attorney teams in document reviews involving millions of pages. Significantly, he handles complex fraud cases involving tens of millions of dollars, where he finds his engineering and mathematics background gives him an unique perspective for following the "money trail."